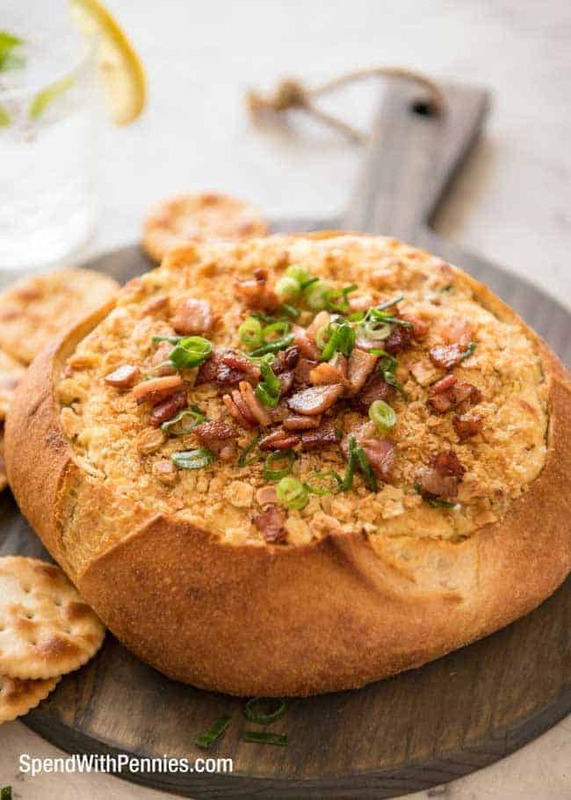 If you want to be the most popular person at a gathering, take this Warm Bacon Cheese Dip. 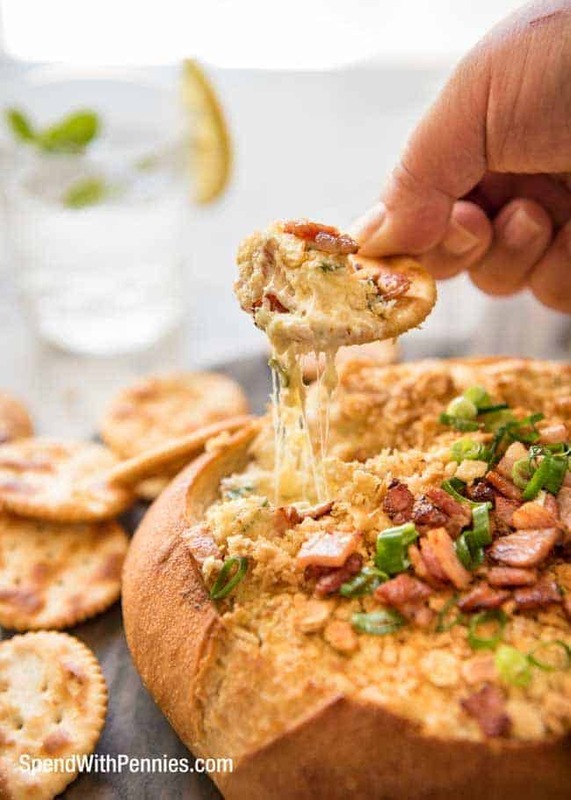 It’s creamy, cheesy, warm and loaded with bacon flavour. 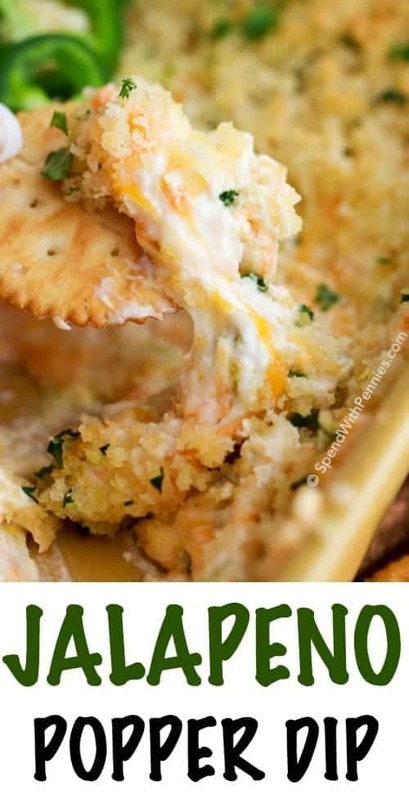 Hands down the most popular dip at every party I’ve taken it to! Let’s be honest. 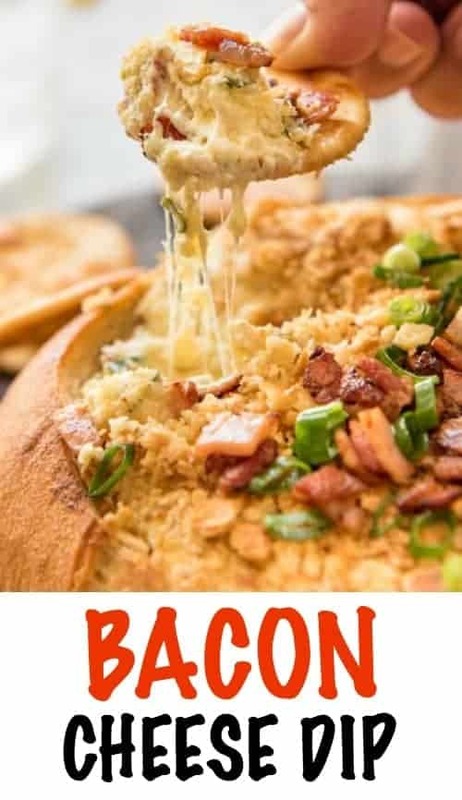 If you combine cream cheese, cheese, LOTS of bacon and a handful of seasonings, the end result is always going to be good. But OH MY GOSH. This is beyond good. 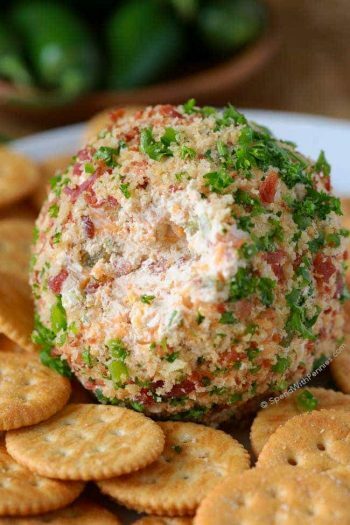 This dip is a Snack Monsters’ dream come true. It is everything you love and dream about dips. It is gloriously smooth and creamy. 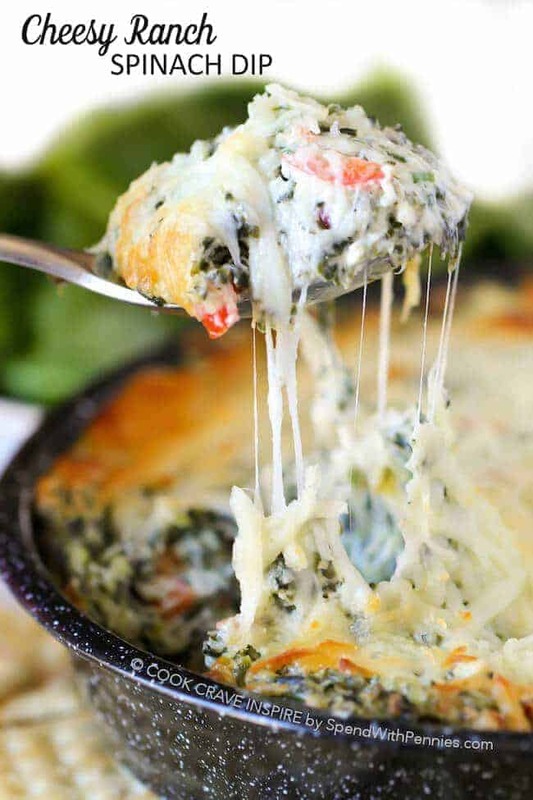 It’s at its absolute best warm (that stretchy cheese, all that stretchy cheese!) but it’s still absolutely lip smackingly delicious at room temperature. 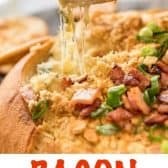 This bacon cheese dip itself is super fast to make, especially because I melt the cheese in the microwave. 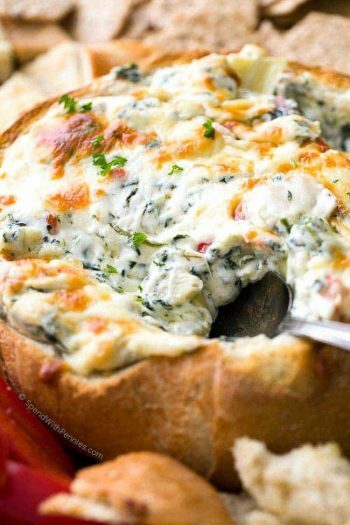 If you aren’t using a bread bowl like I have, then it’s a dip you can make in 10 minutes flat. 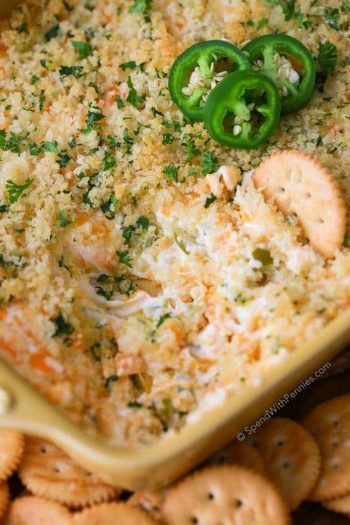 I like to top the dip with crushed crackers before popping it in the oven because it protects the top from drying out, as well as adding texture to the dip. But you could just as easily use panko breadcrumbs instead if you prefer. I contemplated whether to add dill pickles into this because I think the little pops of tang will compliment this really well. But then I remembered that the last recipe I shared here on Spend With Pennies was a Creamy Dill Pickle Chicken so I thought I had better opt out of back to back dill pickle recipes! 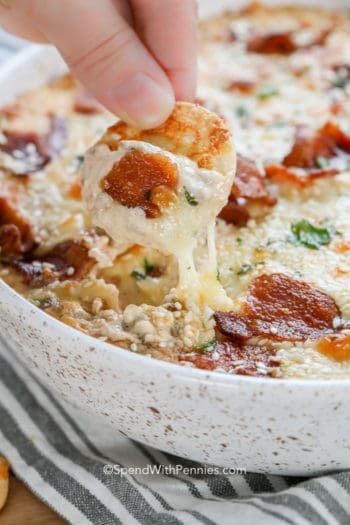 This dip is warm, creamy, super cheesy and loaded with bacon flavours! Heat skillet over high heat, cook bacon until browned. Drain on paper towel lined place. Mix together remaining dip ingredients until well combined, reserving some bacon and scallions for garnish. Microwave on high for 3 minutes or until the cheese is melted. Mix well to bring together. 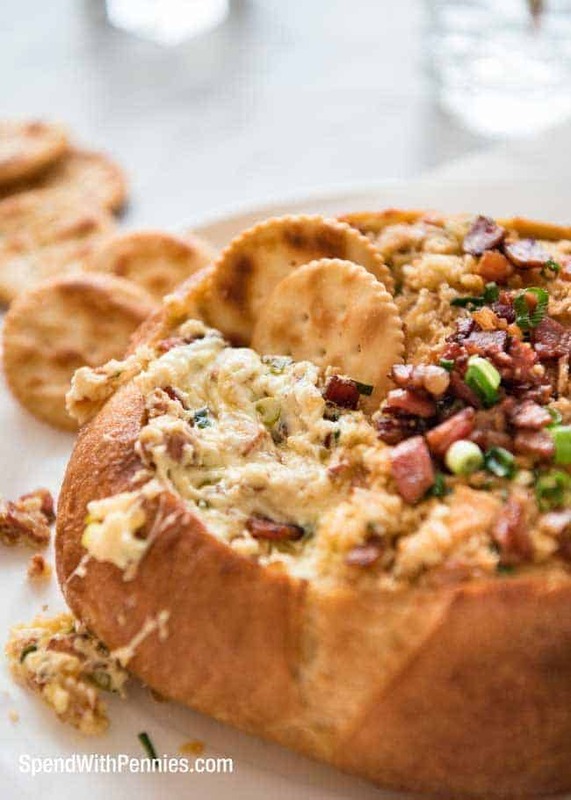 Serve warm, garnished with crushed crackers, extra bacon and scallions. See directions below if serving in a bread bowl. Use a small knife to cut a circle on the top of the bread then remove enough bread to make a bowl, leaving around a 3/4" sides and base. Pour the dip into the bowl. Top with crackers, spray generously with oil then bake for 20 minutes or until golden. 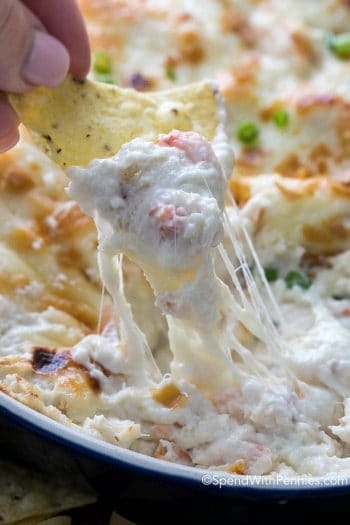 My good friend Nagi is the master of dips and originally published her Cheese and Bacon Dip over at RecipeTinEats.com. 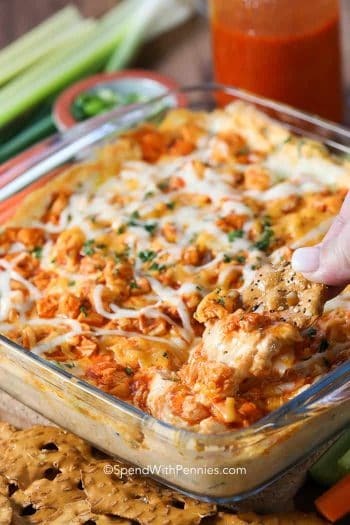 I literally drooled over this recipe so much that Nagi couldn’t resist offering to share it with all of you here on SpendWithPennies.com!